Harikatha exponent Dushyanth Sridhar's new album titled 'NARASINGHAM' - Harikatha in Tamil -- has been released in Chennai. 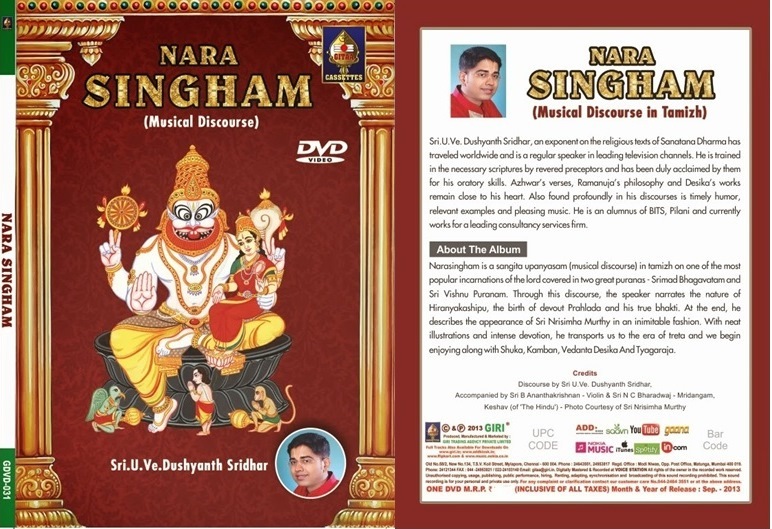 The musical discourse on Sri Narasimha Avataram has been released by Giri Trading Agency. DVD is available in Giri Stores across the country. 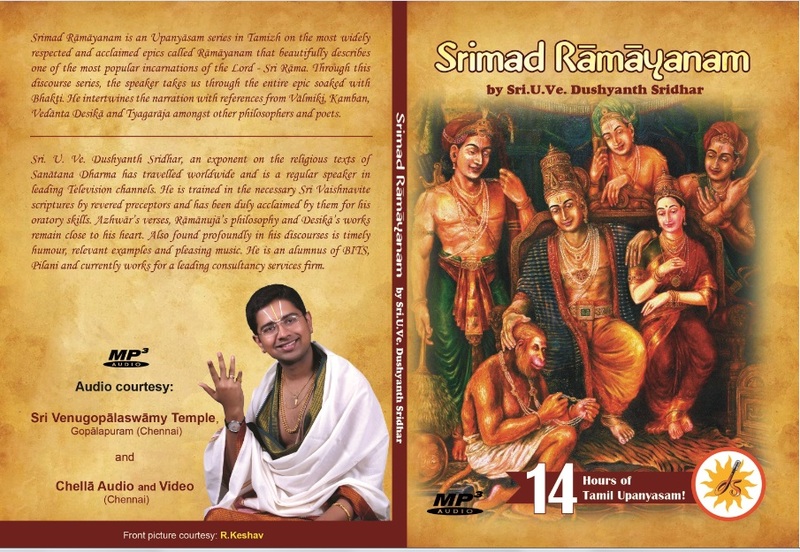 An MP3 CD of Harikatha exponent Dushyanth Sridhar on Srimad Ramayanam is now available. The CD has 14 hours of content on the discourse. It will be available at his lecture locations.